Detail your vehicle with this tough looking Maltese Cross & Tribal design 4x4 decal set. 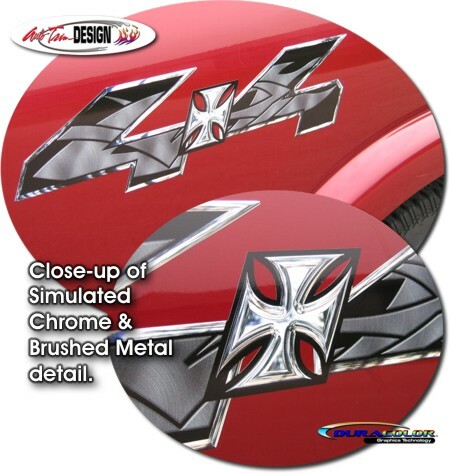 Maltese Cross and 4x4 outline features a simulated chrome look while the Tribal design appears as simulated Brushed Metal within the 4x4 lettering. line installation instruction and care guide provided.